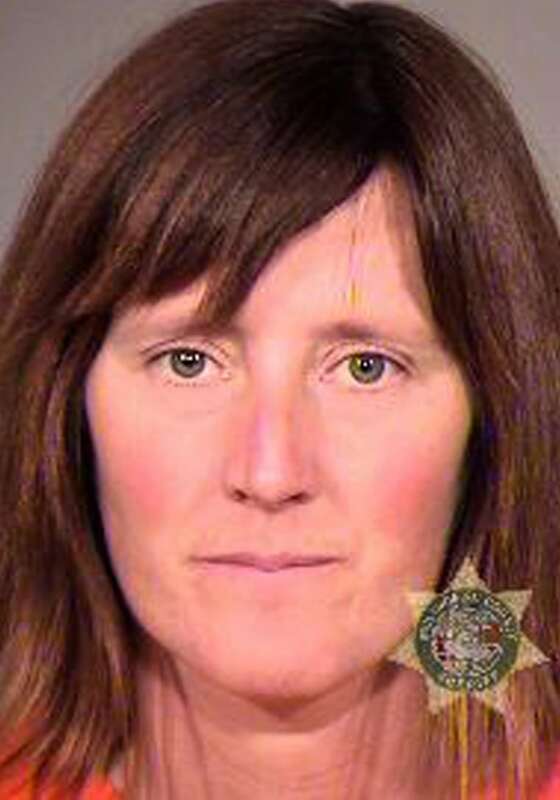 A radical ecological activist who evaded capture for a decade pleaded guilty Thursday to conspiracy and arson for her role with an extremist ecoterrorism group believed responsible for setting 20 fires that burned $40 million of property across the West from 1996 to 2001. Rebecca Jeanette Rubin, 40, a Canadian citizen, faces a federal prison term of five to 7½ years when she's sentenced in January, according to a plea agreement entered in U.S. District Court in Portland, Ore.
As part of the plea deal, Rubin, a former wildlife researcher, agreed to provide information about other members of the ecoterrorism group with which she has been connected. It's called "the Family," and according to the FBI, it was an even more extreme faction of two radical environmentalist groups, the Animal Liberation Front and the Earth Liberation Front. But under the terms of the deal, which has been in negotiations for months, she won't be compelled to identify others involved in crimes committed by the Family — which federal authorities have branded the most wanted domestic terrorist group in the U.S.
Rubin surrendered last November at the Washington state border after a decade on the lam in Canada. Her attorney said that she tried to give herself up as early as 2009 but that he couldn't work out an acceptable arrangement with prosecutors. Rubin was indicted in 2006 with three other Family members in a 1998 fire that caused $12 million at the Vail Mountain Ski Resort in Colorado. Two of the others, Chelsea Gerlach and Stanislas Meyerhoff, were sentenced to nine and 13 years in prison, respectively, in 2007. The third, Josephine Overaker, remains at large and is the subject of a $50,000 reward offered by the FBI. The Family is accused of setting fires at 20 sites — including ski resorts, wild horse corrals, lumber mills and U.S. Forest Service offices — over five years beginning in 1996 in California, Colorado, Oregon, Washington and Wyoming. In an extensive interview with NBC News when Rubin surrendered a year ago, Brent Smith, director of the Terrorism Research Center at University of Arkansas, said members were recruited after having proved themselves through extreme acts of environmental activism. They came from various walks of life: hippies, leftists, anarchists, some with criminal backgrounds, others with college degrees. "These people got together, and first they would go to protests," Smith said. "There would be protests on campus where they protested destruction of trees to build a new building or something, and at these protests, kids become associated with each other." Members would meet in small groups at what they called Book Clubs, where they would learn how to pick locks, monitor targets and make incendiary explosive devices to set fires. "A lot of it was really spontaneous, which is very different from many of these true hard-core terrorist groups, where you see a lot of planning going on," Smith said. In a detailed 2009 research paper on the Family, Smith identified the 1998 Vail fire — one of four that Rubin has been connected with — as the turning point that led to the Family's downfall. After the highly publicized fire, members began questioning their tactics. "During 2000, the group was inactive, and some of the members became disillusioned, believing that their tactics were not having the desired effects," Smith wrote. "The ski resort at Vail, for example, was covered by insurance and was rebuilt in an even more grandiose fashion than before. In fact, all of the facilities they firebombed were rebuilt within a matter of months," he wrote.